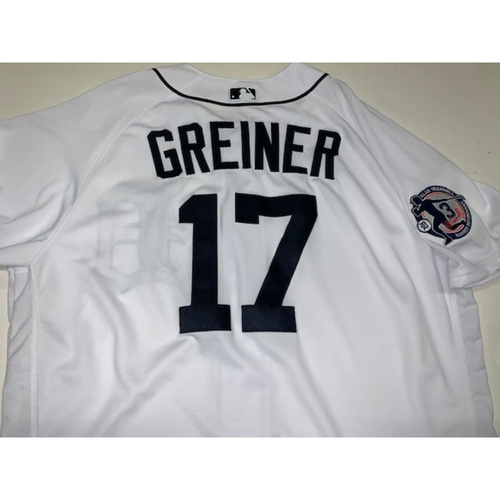 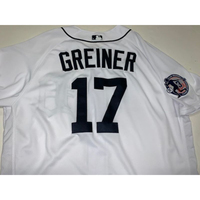 Bid now to win this game-used jersey worn by Grayson Greiner. 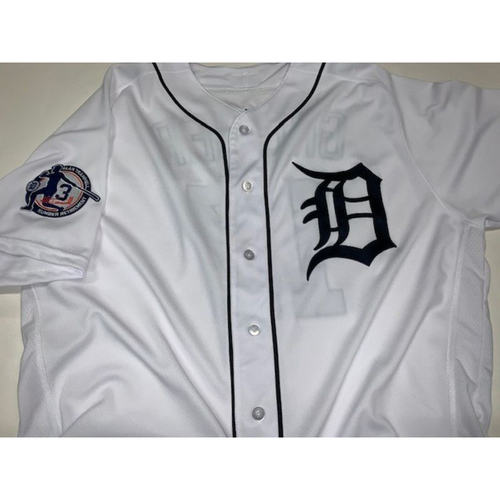 This jersey includes the Alan Trammell number retirement day patch on the sleeve. 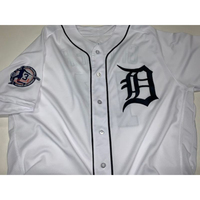 Size 50.